I'm sharing recipes, free e-Books and birthday surprises! Summertime, Summertime, Sum Sum Summertime! I don't know how your weather is, but here in Minnesota, we went from complaining about it never warming up to bearing temperatures up near 100 degrees fahrenheit within a couple of days! But as we say in Minnesota, if you don't like the weather, wait a minute. This month I'm announcing a daycare provider birthday club, sharing lots of recipes and showing you a "Mega e-Book" of free downloadable e-books that I made with a bunch of my internet friends. I've invited you to become a member of the Daycare Provider Facebook Group several times in my newsletter. Now, I have one more reason for you to join. Not only is it a great place to network with other daycare providers and get lots of craft ideas and recipes that kids love, but now we have a birthday club! Join the birthday club in order to get in the drawing for a FREE birthday present, complements of DaycareAnswers.com. Only members of the Facebook Group are qualified to sign up for the birthday club, so join us today! In the summertime, when temperatures get up near 100, it's important to have recipes you can fix for lunch that don't require you to turn your oven on. 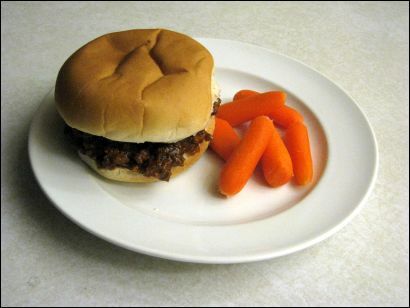 This sloppy joe recipes is fixed on the stovetop. If it's easier for you, you can fix it in the morning and keep it warm in the crockpot until lunch time. I've been working on these menus for a long time and I've finally finished Week #1 in full. I have six weeks of Sample Daycare Menus to make your job as a daycare provider easier. But each menu has to include photos, recipes and shopping lists. Week #1 is now completely done and ready for you to see! 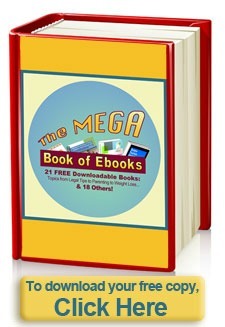 The Mega e-Book consists of over 20 separate e-books that you can download for free. Topics range from raising kids to taking vacations to weight loss to household management. There's something for everyone! If you enjoyed this issue of DaycareAnswers Newsletter, please feel free to share it with friends and family members. If this newsletter was forwarded to you by a friend or family member and you'd like to subscribe to receive your own monthly issue, click here. Please click here to join our fan page! Click on the "like" button to become a fan of DaycareAnswers.com.